I will listen to this one more than once. 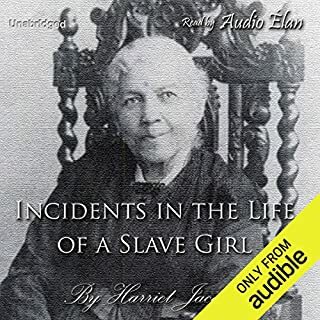 This is a novel in the guise of the tape-recorded recollections of a black woman who has lived 110 years, who has been both a slave and a witness to the black militancy of the 1960s. Miss Jane Pittman has "endured," has seen almost everything and foretold the rest. His story brings to life a shockingly common practice that took place during those times. In his journey, Northup, who is a native of Saratoga, New York, and has a wife with three kids, gets lured into leaving his home town by two circus promoters who ask him to accompany them to Washington, D.C., while getting paid to perform at a musical gig. This trip, which he thought would only take a few days turned in to an unimaginable voyage of deceit and great misfortune. Those few days turned into 12 long years, in which Northup was placed back into slavery in the isolated plantation country of Louisiana's Bayou Boeuf where he quickly learned that the mere mention of his past freedom would result in severe punishments or possibly his own death. His story takes a drastic turn when a heroic friend risks his own life to help deliver the news of Northup's whereabouts to his wife, in order to help him regain his freedom. This heroic act could ultimately get Northup killed or help return him back home, to his family and freedom. What other book might you compare Twelve Years a Slave to and why? Of the many audio books that I have listened to, this is definitely one of the most beautifully written autobiographies. It gives an excellent firsthand account into the daily life and unfortunate occurrences that took place during that time in American history. Northup did a great job at putting his life events together in this book. This is a great book, I started listening to this on a long car ride and I couldn't stop listening. The first thing I noticed was how real the author is, this autobiography is written honestly without exaggeration. Not only is this story incredibly riveting and inspiring, but it is an important piece of history. 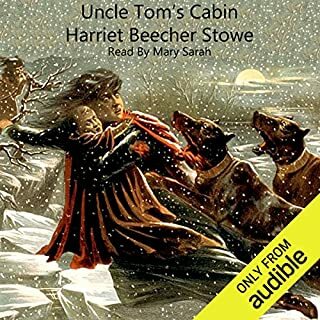 Another high point of this audiobook is that the narrator is very easy to listen to. His smooth voice reads though the book without distracting from the story. A truly excellent narrator for this excellent book. If you are considering giving this book a listen, I would highly recommend it. Splendid start and a magnificent finish! Interestingly, this stirring story embarks listeners on a bumpy ride filled with unpredictable suspense, struggles and fiery trials, it’s definitely a knock-out! This phenomenal book blasted off with a captivating prologue. Indeed this story depicts a free man betrayed into to slavery and it bears a unique plot which will stun unaware listeners. The conspiracy of his disappearance and redemption from slavery triggers goose bumps through my entire body. The exquisite characters were shining with glamorous descriptions and flawless execution thanks to the embodying of Stephen L. Vernon. I enjoyed every millisecond of this exceptional story! The saying “the book is always better than the movie” is very much the case for this book. Not only have I seen the Academy Award winning movie, but I have recently just listened to this Audio book. This book goes into so much more detail and even touched on parts of the story that the movie left out or did not spend a whole lot of time on. And because it’s an audio book I was able to complete the book in a matter of days! Northup does not leave anything out when he was writing this and it makes you feel as if you are right there with him. What did you love best about Twelve Years a Slave? A very good and exciting book that's over 8 hours long, but goes by in a flash. A powerful story that puts you right in that era ! Where does Twelve Years a Slave rank among all the audiobooks you’ve listened to so far? 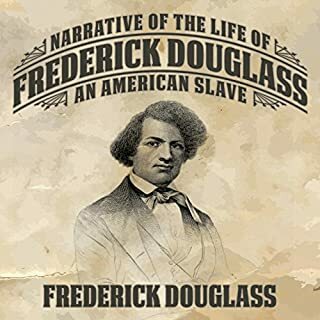 After listening to all the samples for this audio book I found this one narrated by Stephen L. Vaughn to be the most realistic portrayal of a man living in that era. Vaughn really knocked it out of the park. Some narrators will simply tell a story, while this one makes you feel as if you’re witnessing the story firsthand through the raw emotion in the narration. The actual story by Solomon Northup is a very well written one and is quite interesting, there’s not really a dull moment in the storyline. In comparison to the movie the book keeps you on the edge of your seat. 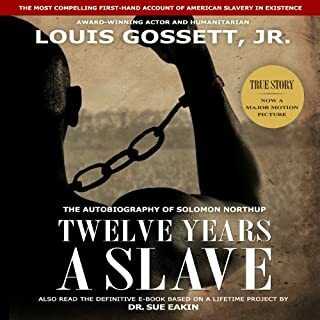 It contains a greater number of events and occurrences which Solomon Northup lived through, which were omitted from the movie most likely due to length. In a nutshell the story is a very well written one, and the audio quality is excellent, the author couldn’t have asked for a better interpreter of his story. I found myself lost in imagination while listening to this book. The narrator's performance was flawless. 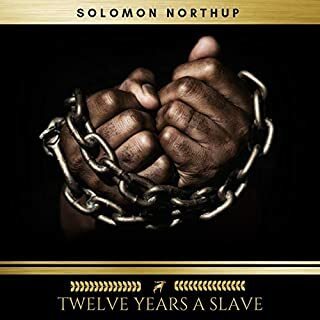 The harrowing details surrounding the kidnapping and enslavement of Solomon Northup are made even more bone-chilling in the audio version of 12 Years a Slave. A free black man from New York, Solomon is taken by two men who claim to be working to promote the circus. Unfortunately, Solomon puts his trust in them, and later wakes up in Washington, D.C., having been slipped a drug and bound so that he would not escape. It is then that his incredibly heart-wrenching story begins as he is shipped down to Louisiana, only to incur harsh brutality as property of a slave master. Stephen L. Vernon's reading of 12 Years a Slave in this audio version does every bit of the novel the justice it deserves. Slowing his reading pace in some areas, while speeding it up in others, Vernon reads with a diligence and a respect that is owed to this true story. 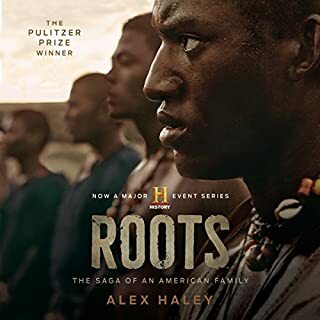 Although certainly a tear-jerker, this novel is an important must-read that provides insight into America's history, and showcases the mentality and perspective of not just the slaves, but their families, their friends, and the people who owned and traded them. I really enjoyed this story. It is unbelievable what happened then,but it is still going on today .people torturing and killing each other. I really enjoyed this performance. I have already recommended it to my family and friends. I know that I will listen to it again and again. A testament to the evil people will do to other human beings if they believe the law allows it. Having never watched the film and been told to read the book first, what abhorrent times in 1840 America that white humans could do this to black Americans. I found it difficult at times to listen to how the slaves we’re whipped for the most menial of things. I enjoyed the narrative and how it told the story from the persons account. I would recommend book and film. It is a great book which was insightful, educational and a wonderful read albeit sad bearing in mind the circumstances being described. Highly recommended. Well read....now I can watch the movie! what a nightmare......slavery was soòooo wrong on any level. A heart wrenching tale of slavery. The cruelty of slavery told by a man who endured the inhumanity and injustice of slavery for simply being born with dark skin. A remarkable but harrowing account. Definitely worth a read.